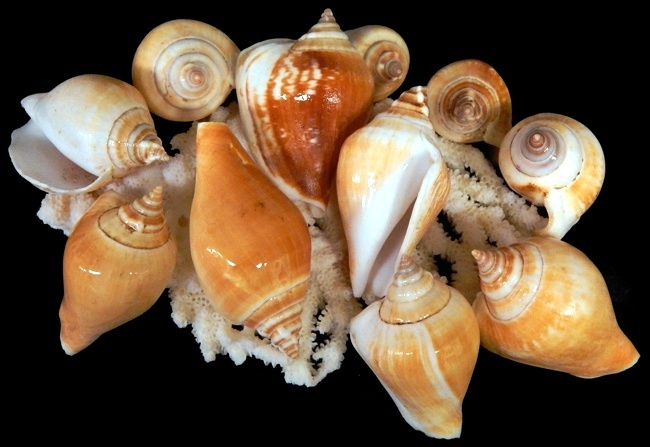 Canariums belong to the conch shell family. They are a thick heavy shell with a pear like shape. Canariums have a flared outer lip. The spire is short with a sharply pointed apex. 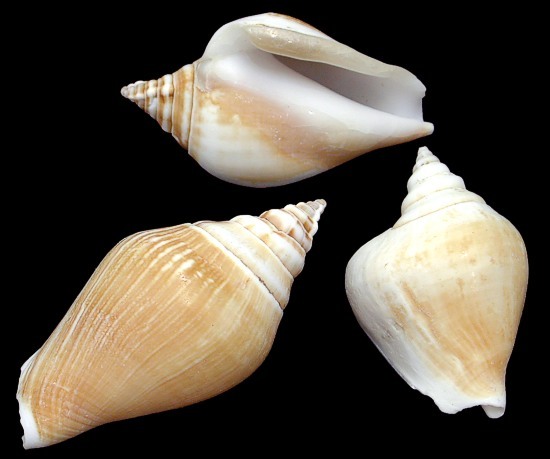 The body whorl is rounded and either smooth or ornamented with spire grooves and ridges. Its outer lip has a thickened edge and a shallow stromboid notch. The columella is straight and thickly callused. Color is white, cream or brown with darker streaks. Most species are found across the Indo-Pacific region, living on near shore sandy floor seas.